Will The Family Court Rule On What Religion A Child Is To Be Raised? This is the next post in my series discussing issues which the Family Courts will and will not rule on when parents cannot agree. My last post provided an overview of common topics that are often hot button issues for parents with differing ideas of how their child should be raised. In this post I will cover the issue of when two parents cannot agree on what religion to raise the child. To begin with, it is highly unlikely that a Court will even hear a case regarding the religion of a child. It is likely unconstitutional for a Court to ‘order’ a parent to raise a child in a certain faith or to prevent a parent from taking their child to religious services. The only possible exception to this would be if one parent wishes to raise a child in what would be a “questionable” faith – for example, a cult. The definition of a cult is hazy, and for a parent to truly bar another parent from allowing a child to take part in their faith, it would have to shown that a parent’s religious choice is putting the child in danger or is somehow harmful. For example, if a religious organization believed in marrying young children to adults, subjected children to psychological abuse, or forced small children to perform hours of manual labor then the Court would get involved. These cases are highly unusual and would be dependent on specific facts and evidence. 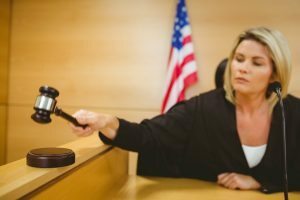 In the majority of cases a Judge will rule that a parent is free to utilize their own custodial or visitation time any way they like. If this means taking a child to religious services then they are free to do so. But a Judge will not mandate one parent to take a child to the religious institution of another parent’s during parent one’s custody time. The best way for parents to work through the issue civilly is to negotiate a visitation schedule that allows both parents to expose their child to their religious affiliation. For example, if one parent is Jewish and wishes to take the child to temple on Friday, and one parent is Catholic and wishes to take the child to mass on Sunday, then the parents might alter their visitation schedule to accommodate both belief systems. Or if both parents religious services occur on the same day, they might reach an agreement where they alternate Sundays with the child. The same form of compromise can be used with all religious holidays that either parent may wish to spend with their child. If you and your ex are having disagreements over religious views, running to Court may not be the answer. Your family law attorney can provide you advice on your options, and help you file to amend the visitation order in a fair way if necessary. Contact our Las Vegas office today to schedule a consultation.